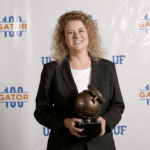 Solving Tax Problems – Tax Attorney | Florida | Law Office of Mary E. King P.L. The Law Office of Mary King P.L. offers complete IRS problem solving services including all areas from tax debt settlement to planning the most efficient tax strategy for individuals and businesses. Below is a list of some of the services attorney Mary King provides individuals and businesses in Florida and throughout the United States. These are just a few of the problems and settlement options that exist in the world of IRS debt issues. Handling any tax problems on your own is generally a bad idea, and enlisting an experienced tax professional is a must. Mary E. King has spent her career concentrating in tax law, and can help you with any of these issues and more. By working as the buffer between clients and the IRS, Attorney King stands up to the IRS for her clients and protects their rights while working hard to get them the best tax debt relief available. That helps explain why she’s received an A+ rating from the Florida Better Business Bureau. If you have a tax related issue – no matter how small or how large – setting up an initial consultation with Tax Attorney Mary E. King is the first step you should take towards relief. 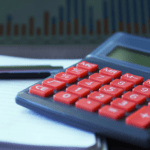 Delinquent payroll taxes can be one of the most serious tax related issues out there, leading to serious federal charges along with IRS penalties. It’s much more serious than income tax, and employment taxes are always given a higher priority by the IRS and their collections/enforcement departments. As a result, getting help quickly and taking care of any payroll related tax debt is a must. Failure to do so could lead to dire consequences for yourself and for your company. 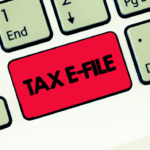 It’s a common mistake to assume that if your original tax return is late, you can’t file it. The truth is that not filing it at all is much worse than filing late, and the longer you wait, the greater the penalties can be. As a result, you should always file returns even if they are late. In many instances, settling tax debt begins with this basic step. Getting audited is never fun, and it’s important that you have someone on your side during the process. The IRS actively looks for tax returns that have the highest chance of netting them additional tax collection, and as a result you need to be sure to have an experienced accountant, attorney, or both on your side who will protect you and your rights during the process. It’s not easy, but in some instances it’s possible for a skilled legal professional to help clients avoid various penalties that the IRS may put in place. This can often cancel portions of back taxes, removal of interest and penalties. In some cases it can even remove the entirety of the penalty. ​Even if you’re separated from your spouse, you can still easily find yourself liable for your former partner’s tax debts. There are steps that can be taken towards innocent spouse relief that can help provide a layer of protection to those who find themselves in this scenario. ​Starting up an IRS payment plan is one of the easiest options for starting to repay IRS tax debt. Usually, the early stage of tax debt begins with the IRS demanding total repayment of back taxes. However, in most cases it’s possible to set up a payment plan. This can be done on your own, but in many cases professionals concentrating in handling tax problems will get you much lower monthly payments and better overall terms than you would get on your own. A lien is nothing more than official statement that shows you owe the IRS a tax debt. This may not sound severe, but you should remember that the lien will show up on any credit report. This means that getting a loan will be next to impossible. Additionally, the IRS can actually file a lien against your property. In other words, resolving tax liens is a must for anyone facing IRS debt problems. IRS wage garnishment is actually a type of penalty that will often be put in place by the IRS. The process is easy enough to understand – during wage garnishment a portion of your wages or salary will be deducted from each paycheck and applied towards paying off your tax debt. The levy ends when your taxes are fully paid off or when any time constraints expire. While this is very common, many people find that modifying the garnishment is required in order to keep their wages at a level that makes it possible to live. In these cases, getting professional assistance is a good idea. 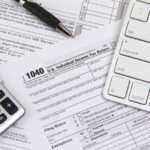 ​This is another common option and is essentially like a kind of ‘reduced sentence’ for those owing back taxes. An Offer in Compromise allows a taxpayer to settle their back IRS tax debt for less money than they owe. Essentially, if they agree to pay off a lesser amount in full, the IRS may accept the sum. In most cases the Offer In Compromise will need to be argued for, and in these instances having an attorney on your side is often the best option. Going it alone is possible, but can be stressful, confusing, and frustrating. One of the worst situations a debtor can find themselves in is that of facing IRS bank levies. Levies are put in place that will actually remove cash from a bank account completely. Once the IRS places a levy order, your bank will be required to remove all funds available in your savings and checking accounts up to the amount you owe and send it to the IRS.